Earlier this year, I received an offer to run a writer’s weekend in a fairy fort. No, you didn’t read wrong. 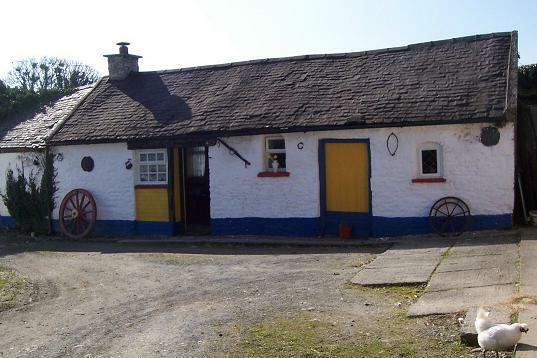 It’s in a place called Fairy Fort Farm in Borrisoleigh, North Tipperary. It’s just half an hour from the Rock of Cashel and there is a lot of fairy and leprechaun lore attached to the area. The weekend will run from September 14-16th (Fri-Sun) and will cater for any writer who has a strong idea for a book or story that they want to develop. It’s half a workshop, half a retreat, so it’ll suit writers who want the space to write, but also the chance to meet like minded souls. And the tranquil atmosphere and beautiful scenery will put you in the right mood for writing. To be practical for a moment, the cost will be €100 for the weekend, including two nights accommodation and lunch. Single supplement of €15 a night applies. The weekend is open to beginners and to people who have started working on their idea, but may be a little stuck. There’ll be workshops on the Saturday and Sunday, where people will have a chance to share their ideas and get feedback on them, from me and other writers. When not writing, people will have the chance to walk in the surrounding countryside, work on their ideas and chat to the other participants. If you’re in Ireland and you’d like to come to the workshop, simply comment on this blog with your email address and I’ll send you the logistical details. If the prospect of reading a post about quotation marks doesn’t cause you to roll your eyes to heaven, then please read on. These humble, comma-like marks have been getting a makeover in recent times. They’ve been swapping places. Sometimes, they’ve disappeared altogether. When we were at school, we were taught that when a character spoke, you put double quotation marks around their words. But now in books, dialogue is blocked off with single quotes. Double quotation marks have been relegated to words in the middle of sentences. Mary told John she planned to “kick the habit” as soon as the New Year rolled round. If you’ve ever read a book where dialogue begins with a line like —, that’s an em-dash. Joyce was the most famous user of this style of quotation mark, but it’s been creeping into vogue again in the last 10 years. — Look, John, said Mary. And in some books, there is a complete absence of any kind of quotation marks. Because quotation marks give people a voice. Using single quotation marks does tidy up the text. But using em-dashes or leaving out quotation marks altogether makes it hard to know when a character has started or finished speaking. To connect with a character, I need to feel they’re speaking to me. I’ve had to abandon books with em-dashes because the lines between dialogue and text are too blurred. I don’t feel the character is speaking to me, therefore I don’t feel the connection and I lose interest. I’ve been told that creative writing tutors are now recommending the use of em-dashes because they actually make dialogue clearer. But what’s the point of using a punctuation mark that causes confusion? Punctuation is there for a reason, to make yourself understood. And no author, no matter how experimental or avant garde, is above the r need to be understood. I’m looking forward to some lively debate on this. Let me know what you think. Do you notice the impact of quotation marks? If you use em-dashes, what makes you favour them?